So that means that if I didn’t send it to them, they’d complain about not getting it? See #5. If they wouldn’t complain, take them off! Aside: the definition of permission marketing: Anticipated, personal and relevant messages delivered to people who actually want to get them. Nowhere does it say anything about you and your needs as a sender. Probably none of my business, but I’m just letting you know how I feel. (And how your prospects feel). Really? They’ve written back? 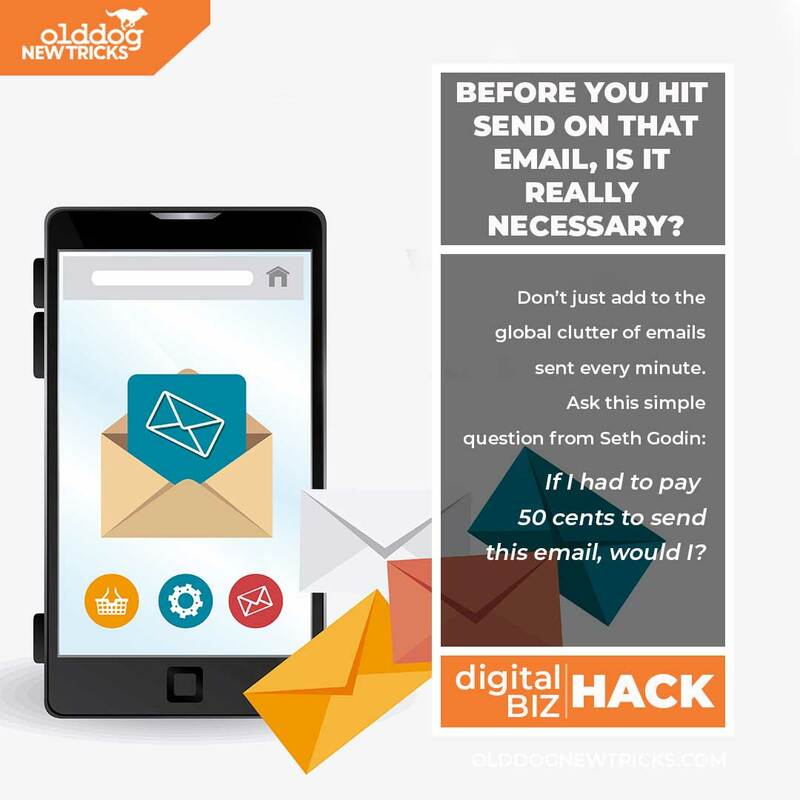 (if no, reconsider email). Have I included the line, “Please save the planet. Don’t print this email”? (If so, please delete the line and consider a job as a forest ranger or flight attendant). Are there any 🙂 or other emoticons involved? (If so, reconsider). Am I forwarding something about religion (mine or someone else’s)? (If so, delete). Am I forwarding something about a virus or worldwide charity effort or other potential hoax? (If so, visit snopesand check to see if it’s ‘actually true). Did I hit ‘reply all’? If so, am I glad I did? Does every person on the list need to see it? If this email is to someone like Seth, did I check to make sure I know the difference between its and it’s? Just wondering. Bonus: Does the subject line make it easy to understand what’s to come and likely it will get filed properly?